"When each organization views the availability of resources and the range of solutions through the lens of its own particular agenda, the resulting kaleidoscope conceals many opportunities. 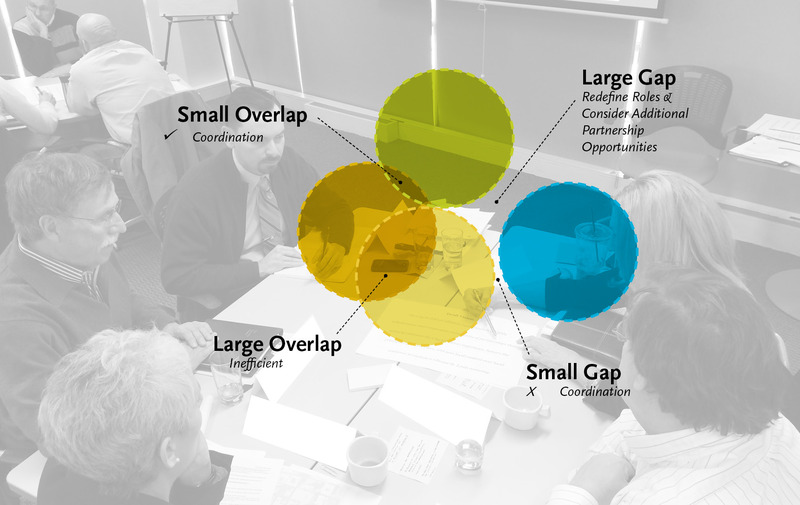 Collective impact efforts, however, sharpen a community’s collective vision." 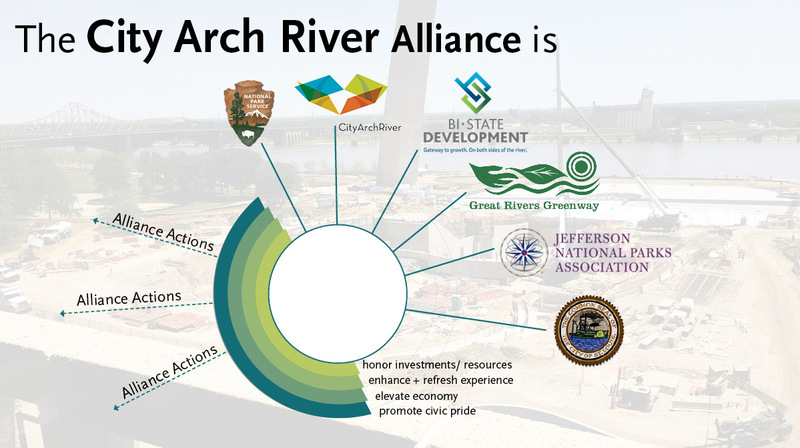 The City Arch River Alliance was created by the six agencies who are committed to maintaining and operating City Arch River project. This strategic plan sets both short- and long-term goals in place to ensure success among partners. 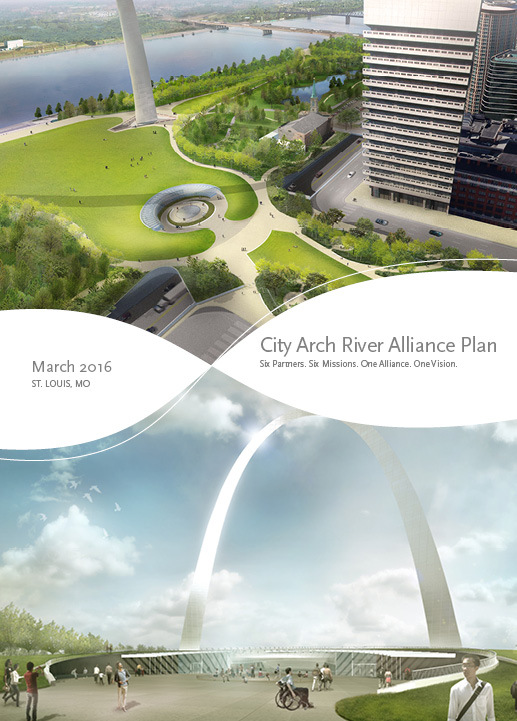 The City Arch River Alliance vision will function as a filter to guide and inform all future Alliance actions. In codifying the process that existing groups have used to collaborate, the Alliance will build off of what has been shown to work. 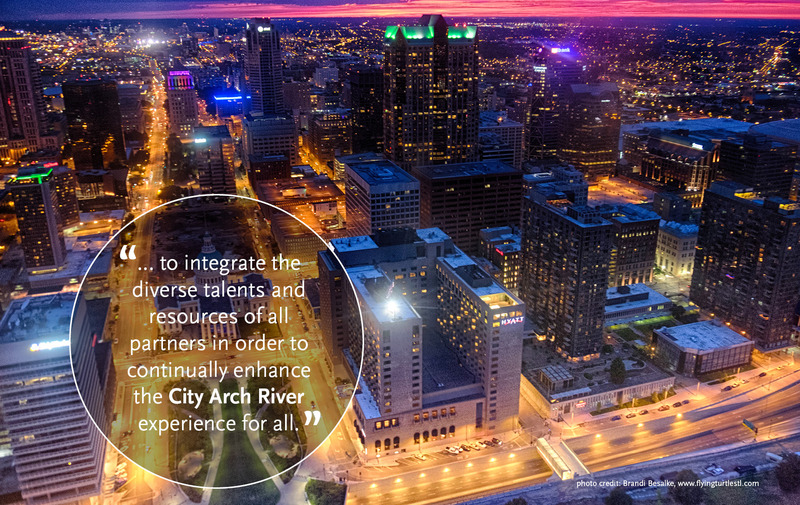 Participation in the City Arch River Alliance is meant to enhance the impact each agency is able to achieve. 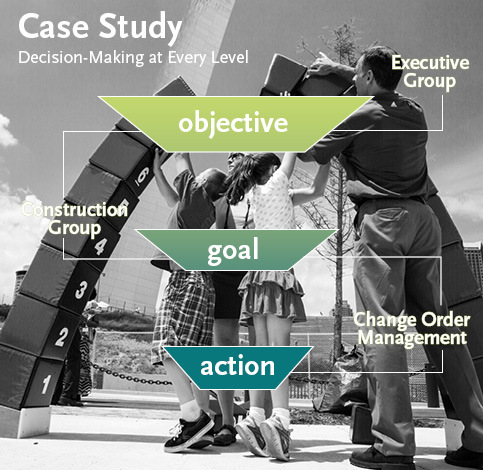 Quantified trends and outcomes will do more than identify problems. Data will illuminate potential solutions and influence, not dictate, strategy.  The Alliance Plan documents areas of partnership consensus, defines a common language, and identifies a set of focus areas that will serve the partners in their continued collaboration. The process of growing the Alliance forward from an on-paper arrangement to a partnership that takes meaningful action is already in motion, and has been for some time. The Alliance Plan recognizes a few of these ongoing efforts and identifies them as models for collaboration that may inform the process and structure to be developed by the Alliance. 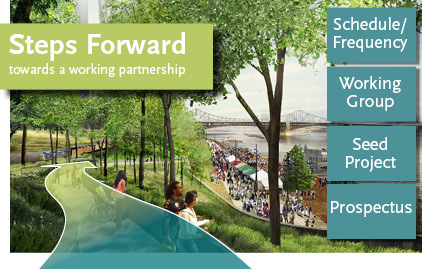 This plan will formally established the City Arch River Alliance as a non-binding, forward-thinking partnership arrangement that will be guided by a common vision and mission. 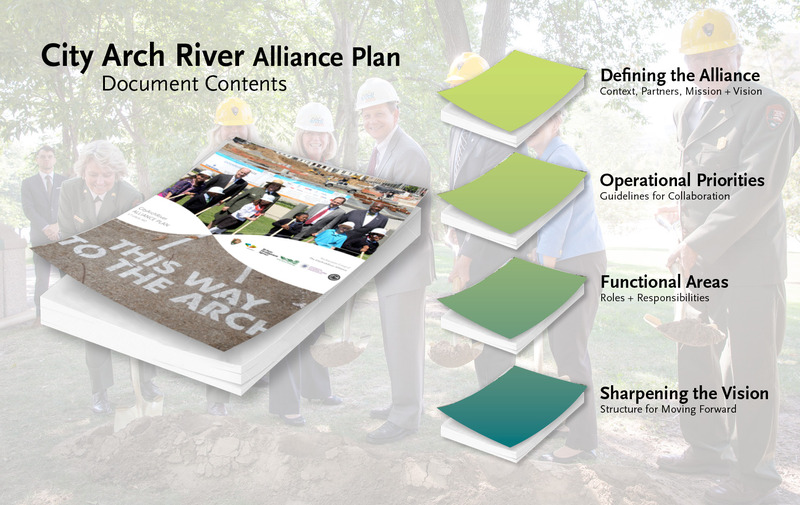 Through the acceptance of this document, the Alliance Partners will agree to work together in accordance with a clear set of operational priorities to strengthen the impact of key functional area actions on the City Arch River Area experience. "In an economic environment in which communities feel extreme pressure to ‘do more with less,’ we can expect to see more and more projects that will be championed through construction, and managed in the long-term by partnerships. 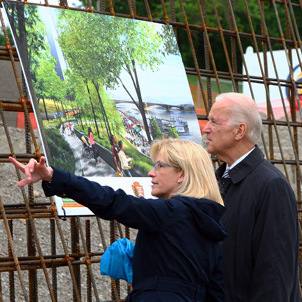 The City Arch River Alliance will serve as a model for these types of collaboration."